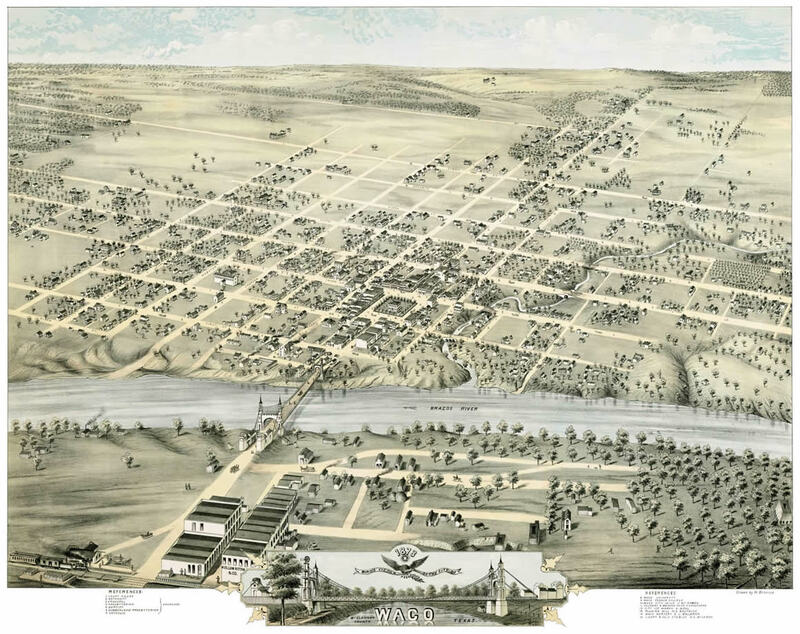 In 1849, when the first lots were sold in Waco Village, the town counted Baptists and Methodists among its citizenry. First Baptist Church opened its doors in 1851. Five years later the village incorporated as Waco. Waco Baptist Association organized at First Baptist on November 10, 1860. In the days before the Civil War, delegates from nine founding churches elected six-gun toting home missionary Z.N. Morrell as moderator and accepted the “patronage and care” of Waco Classical School which had been founded by Trinity River Association. The delegates chose Rufus Burleson to head the School, which shortly became Waco University. During the Civil War, home missionaries like N. W. Crain led the Association for the munificent salary of $1.50 per day. When the War ended, members affirmed the independence of the newly formed black churches, and Waco boasted the largest Sunday School in Texas. Waco women zealously worked in missions. Mrs. John C. West formed the first ladies missionary society in McLennan County as early as 1858. In the 1880’s, the Association initiated special prayer for William Buck and Anne Luther Bagby, newly appointed to Brazil. The Bagbys maintained a close relationship with the Association throughout their more than 50 years on the mission field and their grandson, Dan, served as moderator nearly 100 years later. In 1883, when the Southern Baptist Convention met in Waco, the host association for the first time invited wives of messengers to attend. “A record crowd of 3,000 people arrived…at least 700 of them women—more than had ever attended a Baptist Convention. Waco called in 1,000 cots and lined them up in churches for the men. Every woman was entertained in a home. All the surrounding Texas towns sent in wagon loads of baked bread, ham, chicken, pie, and cake.” However, not until 1904 did the associational Woman’s Missionary Union organize when Pat Neff reported for the Committee on Women’s Work. In 1909, First Baptist Church pastor Arthur James Barton recognized the need for a Baptist hospital, and in 1912, Waco Association appointed a board chaired by J. M. Dawson. The 65-bed Central Texas Baptist Sanatorium opened its doors on May 20, 1920. 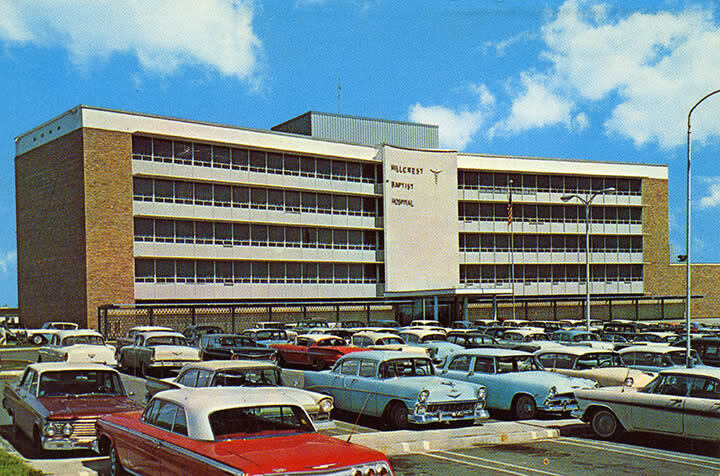 The name changed to Hillcrest Memorial Hospital in 1938 and to Hillcrest Baptist Hospital in 1963 with BGCT affiliation. Exactly 90 years after the hospital admitted it first patient, a new facility opened at I-35 and Highway 6. Ten men and one woman have served as chief administrator—three for ten or more years–Julian H. Pace (1943-1972), Alton Pearson (1972-1992), and Richard E. Scott (1992-2002). Through the years, Waco Baptist Association leaders have played important roles in Texas and national Baptist life. The list reads like a Who’s Who: J. W. Speight, George W. Truett, J. B. Tidwell, Samuel Palmer Brooks, W. W. Melton, Pat M. Neff, Woodson Armes, Abner McCall, H. J. Flanders, and Charles Lee Williamson. And WBA provided four Texas WMU presidents—Marie Wiley Mathis, Ethel Cooper Hardy, Gerry Dunkin and Kathy Hillman. With changing times, the Association added “Regional” to its name and extended its mission to reflect new opportunities—involvement in social ministries such as Christian Women’s Job Corps; the marriage of evangelism and missions through national and international partnerships; and expansion to encompass more than 130 churches—Anglo, Hispanic, African-American, Vietnamese, Native American, Korean, and Cowboy! 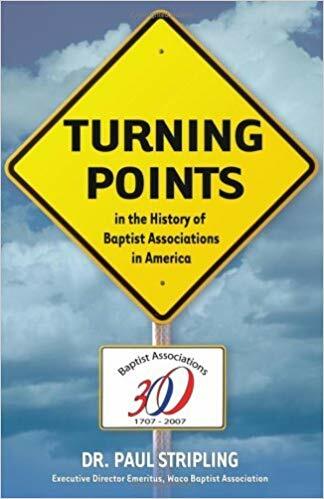 Paul Stripling released “Turning Points in the History of the Waco Regional Baptist Association” at the 150th Annual Meeting. Copies are available through the Association at the cost of $7.00. Contact the WRBA Office at 753-2408 to ask how you can get one. Much of the Association’s early work was led by a giant among Texas Baptists, B. H. Carroll, pastor of First Baptist, Waco. In 1885, his church hosted and facilitated the consolidation meeting that united various bodies into the Baptist General Convention of Texas and created Baylor University at Waco with the merger of Waco University and the Male Department of Baylor University in Independence. Carroll founded Baylor Theological Seminary, which in 1910 relocated to Ft. Worth as Southwestern.